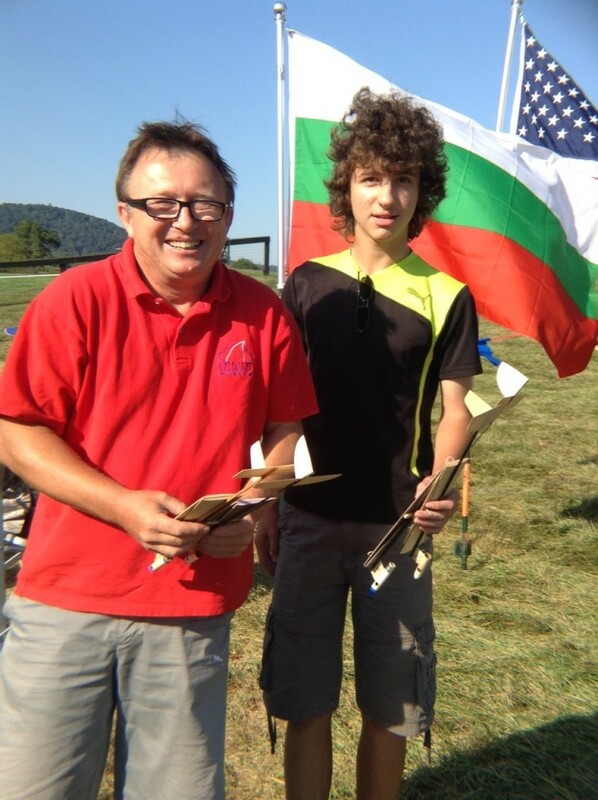 An international rocket contest was held September 19-20 at The Plains, Va. This contest is held every two years as a practice event for the USA Spacemodeling Team prior to the World Spacemodeling Championship. Events included small glider free flight (FAI S4A) and RC glider precision duration and landing (FAI S8E/P) in addition to parachute duration (FAI S3A), streamer duration (FAI S6A), and gyrocopter duration (FAI S9A). Also the FAI S2P precision payload altitude and duration event was held- this is analogous to the Team America Rocketry Challenge event. Participants were from Bulgaria, Canada and the U.S.
Dimitre (left) and Stoil Avramov of MD via Bulgaria. Peter Cook (left) and Sav Prato from Canada loading a swing-wing boost glider for launch. 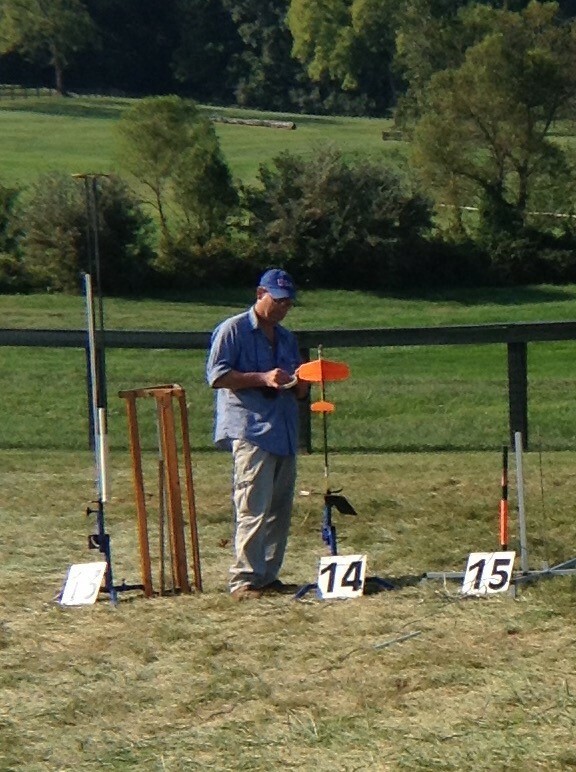 Keith Vinyard from Missouri readies his flapped glider. 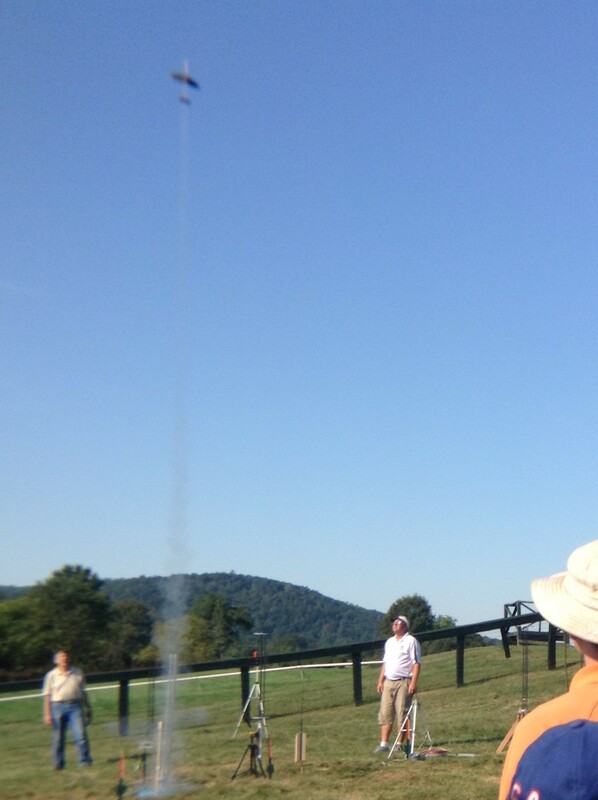 The rocket boost of New York’s Randy Ringner’s (left) model launches skyward before transitioning to a glide. 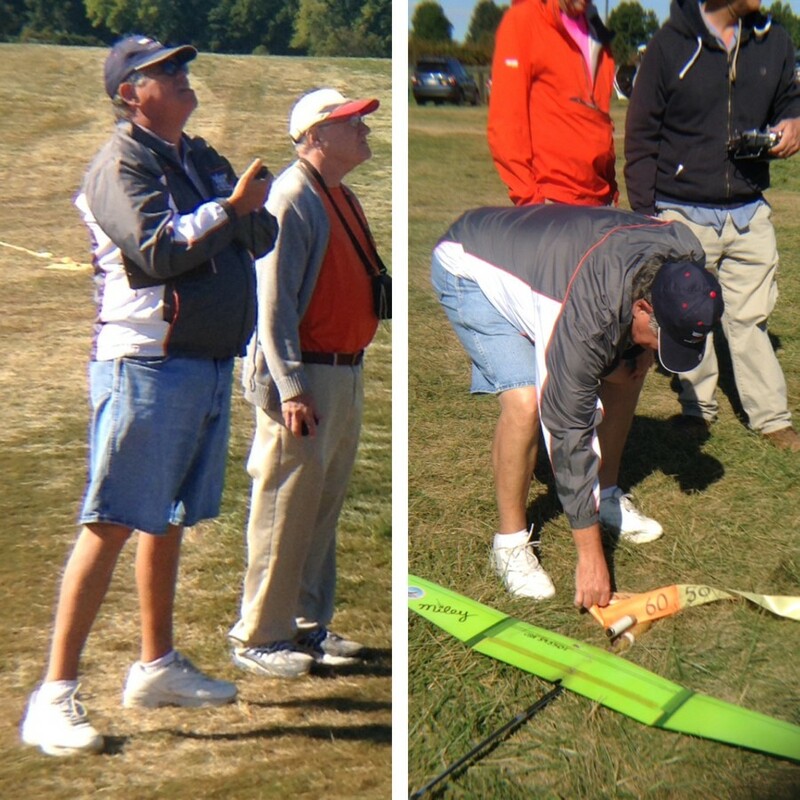 Jim Filler of MD competing in the RC glider event (S8E/P). 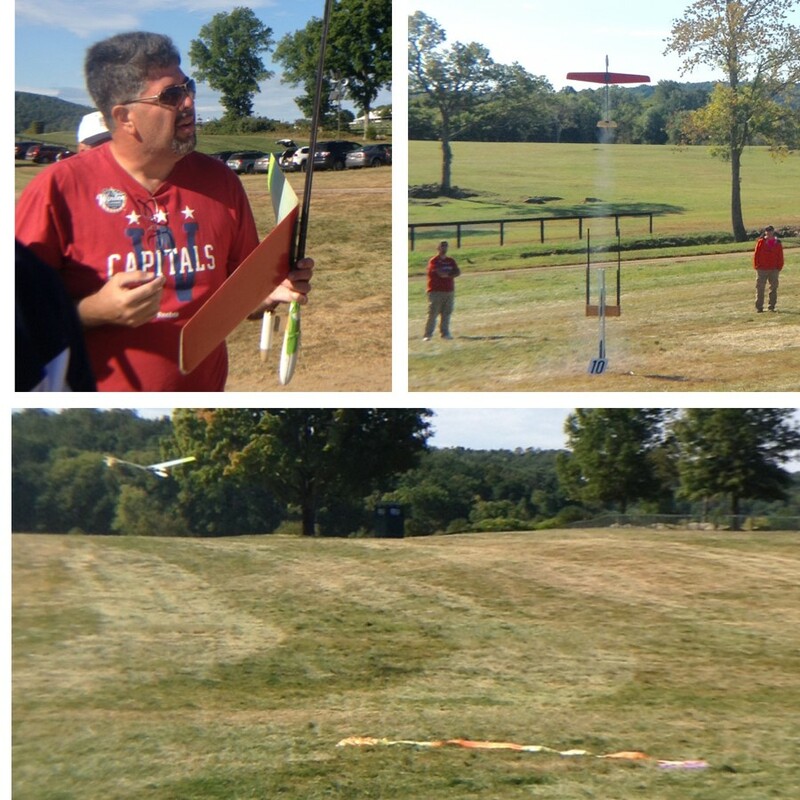 AMA Region 4 VP Jay Marsh came from NC, competed in rocket events and officiated in the larger glider event. 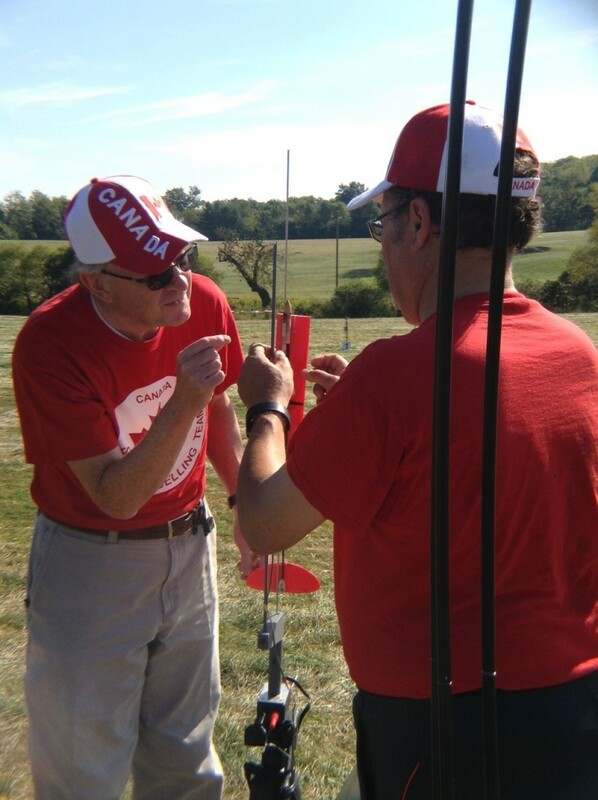 Thanks to former USA Spacemodeling Team Manager Ed Pearson for the photos of the event!